Connect with the Alumni Association and the Alumni Office! Proctor's 5,000 alumni live around the globe, and while their time in Andover spans generations, their shared experiences living an unwavering educational mission creates a lifelong connection to Proctor. 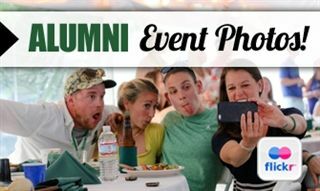 The Proctor Alumni Association seeks to connect alumni with each other through network receptions, a mentoring program, regional events, and increased attendance at Alumni Reunion each year. The PAA also works to connect alumni with current students through engagement in Project Period, Senior Project, and guest visits in academic courses. Learn more about joining the PAA below! I am a small business owner that provides management services to nonprofit organizations. Engagement around a mission creates a vibrant organization. We are going to continue creating a vibrant Proctor Alumni Association by providing many opportunities for alumni engagement. I am a father of two young boys, married to fellow Proctor alum Cassie Heaton Bowse ‘96 and we call San Francisco, CA home. In my professional life, I am the VP of Sales and Marketing for Ravenna Solutions, an educational technology software company. I am honored and ecstatic to be part of the Proctor Alumni Association. While serving, it is my goal to help foster lasting relationships between alumni, the school and the larger community. Over the next several months I look forward to connecting with the larger alumni community and hearing their individual stories. I am a middle school Language teacher at the Carroll School in Lincoln, Massachusetts, along with a few other Proctor Alumni. I recently received my Masters in Special Education - Moderate Disabilities in August of 2016. I am so happy to give back to Proctor by being a part of the Proctor Alumni Association. I hope to see the PAA flourish into a strong Alumni Association which is eager to keep all the alumni fully connected. We’re excited to launch the Alumni Notes section of our magazine this year! We hope to continue to grow this section with as many updates from you as possible in the coming years. Be sure to click HERE and send us your Alumni Notes to be included in next year’s magazine! Share your expertise with our students by visiting classes. Learn more! Learn how you can share your passions through getting involved with Project Period! Have you considered mentoring a current student through Senior Project? We want your reunion to be as unique as you are. Help us plan Reunion! The Proctor Academy Alumni Association will meet formally once a year. What better time than Reunion! Our Proctor network is expansive, you should use it! Want to share your ideas with your fellow alumni? Do you love Proctor and love hosting events? Read more! Do you want to connect with other Proctor alumni in your local area?